The Cikor has impressive dimensions: it is 2 meters wide. This majestic piece has bold lines and a curved façade that seems lapped by waves, covered in true walnut finish. The entire piece is glossy black with refined details all over. The flawless brilliance of the glossy finish and the upper glass surface produce a genuine design harmony.No assembly required. 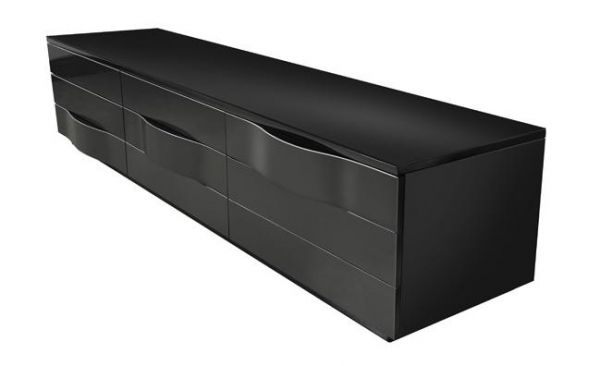 Featuring multidirectional casters, an LED* and infrared** series kit, the Cikor offers tremendous storage space with wide drawers and swinging cabinet doors. 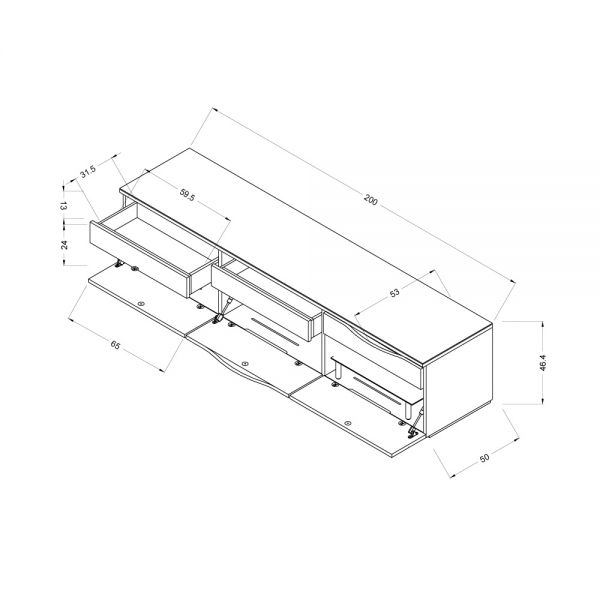 The cabinets feature adjustable glass shelves for placement and ventilation of your components.